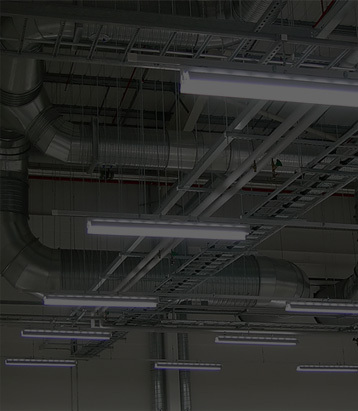 From energy efficient T5HO High Bay Units to cost effective Strip Lighting, our vast variety of quality commercial and industrial luminaries will meet all of your lighting requirements. Give your business the advantage of having durable high quality lighting products that are manufactured in the U.S.A. and guaranteed for up to 5 years. K-B Lighting offers standard and customized lighting products for applications such as office, warehouse, display, point of purchase, hotel, retail, floodlighting to produce a clear, bright light designed to illuminate even the darkest areas. K-B Lighting's attractive array of indoor and outdoor luminaries is the solution to your lighting needs. Dry Location, Damp Location, or Wet Location fixtures are available for a wide variety of lighting applications. Search our industrial and commercial lighting products catalog or feel free to contact us with your own custom design for the products that will give you the light levels and performance you desire.